ELIGIBILITY: The contest is open to all residents of the six Bicol provinces-Albay, Camarines Sur, Camarines Norte, Catanduanes, Masbate and Sorsogon-who have attained the age of 16 and above. High school seniors, college students, and Bicol residents interested in writing are encouraged to participate. IMPORTANT: Since the goal of this contest is to encourage more literary writing by beginning writers, professional writers who are at least 3-time awardees in other literary contests are not eligible to participate. There is a limit of ONE ENTRY PER PERSON. DEADLINE: Contest begins on March 21, 2018 and ends August 21, 2018. Entries must be received at the RAUL S. ROCO - NAGA CITY PUBLIC LIBRARY on August 21, 2018. HOW TO ENTER: The author’s name, address, telephone/cell phone number, email address and a 25-50 word biographical sketch must be included with his/her entry on a separate sheet of paper.The name of the author should not appear on the story itself. There is no entry fee. Entrants will be contracted by email to acknowledge receipt of their stories. CONTENTS: Entries written in English or Bicol must be unpublished original stories. Stories set in Bicol with themes related to life in Bicol will be preferred and given extra points. JUDGING: A Committee of Readers will complete the first round of judging and select at least 12-15 best stories in English out of the entries submitted. These selected stories will then be sent to a panel of judges who will select the First, Second, and Third prize winners. For the Bicol Short Story Division, a separate panel of judges will choose the best story and two honorable mentions. To claim cash awards, winners must present a valid photo ID showing residency in Bicol, or enrollment in a Bicol high school, college, or university, and a sign a declaration that their story is original (not plagiarized). All entries become the property of the Raul S. Roco – Naga City Public Library and will not be returned. Each entry must be submitted by the contest deadline in its own envelope. Stories submitted by fax machine and E-Mail will not be accepted. Illegible entries will be disqualified. 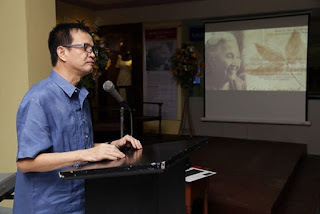 Stories must be written in English, or Bicol, and should be original and unpublished up to the time the winners are declared in August 2018. Stories must be written on a computer or a typewriter, on letter size (8 ½ x 11) paper, be double-spaced and no longer than 2,500-3,000 words. Total word count must be printed on the front page of the story. No changes to a story are allowed once it is received. Inquiries to follow up on entries will not be allowed. Pseudonyms or pen names are not permitted. By entering the Contest, entrants agree to allow Raul S. Roco Library to publish their stories, names, photos, and biographical information without compensation. Winners also consent to authorize the Contest Sponsor to publish the winning entries into a book. No photographs should be sent with entries. Winners will be contracted about a photograph at a later date and must agree to publication of his/her photograph. 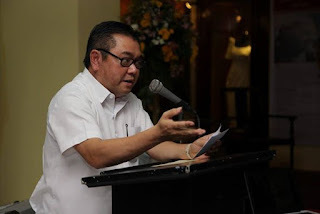 The Raul S. Roco – Naga City Public Library reserves the right to reject and disqualify any submissions that could be offensive or inappropriate or that do not meet the terms and conditions of these rules, such as providing false information, plagiarizing someone else’s work, or entering more than once. "Her first love: Bicol culture" is an article I got from a writer named Teresa Aureus' Interesting Bicolana. She narrate the life of Leonor Dy-Liacco who was an active advocate of Bicol culture. 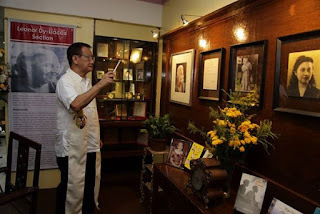 Last September, Mayor John Bongat lead the blessing and inauguration of the special corner dedicated to Mrs. Leonor Dy-Liacco together with the family members, the Kabikolan society whom she organized, librarians, historians and other invited guest. It was very appropriate for Naga to paid tribute to Cha Mining, by designating a special section at the Naga Library. For Naga Library, since its establishment, Bicolano writers deserve a special place. As an advocate, mover and lover of arts and culture, I thank the Dy-Liacco family for trusting the mementos of her mother to have it kept at the Naga Library so future Bicolanos will understand the Bicol writer and the culture. Surely, young people will be inspired to write, write, and write about the beauty of Bicol. back in October of 2014 where i returned as an active public librarian, after i my mother's death. 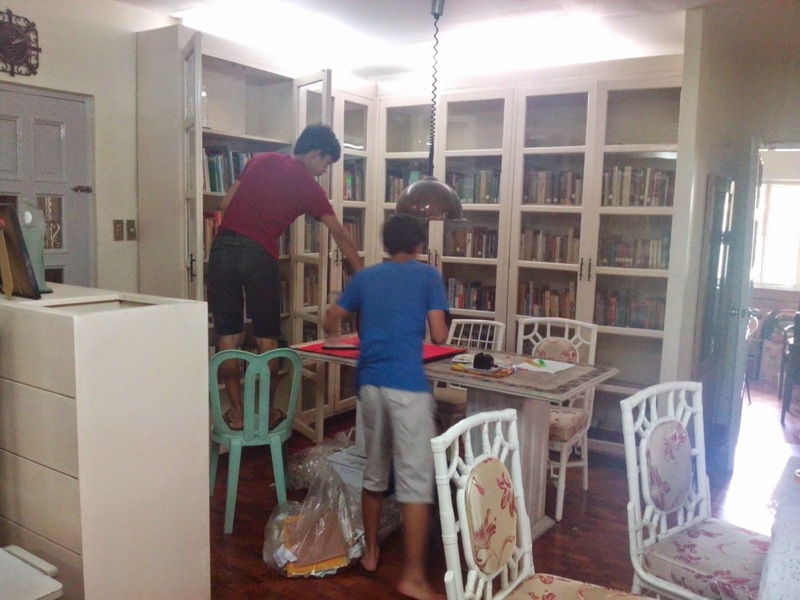 i refocus more (as in more) in library programs, with naga city shelf project which i will post later. since january, during weekends, i went to senator roco's special collection of books at lavista. the opportunity is amazing for i was able to see the books that made the late senator intellectually brilliant. books that he love to read, and the favorite authors he liked etc.. interesting to note, these collections spoke of a lot of him. and yes,as of this time, i am here. 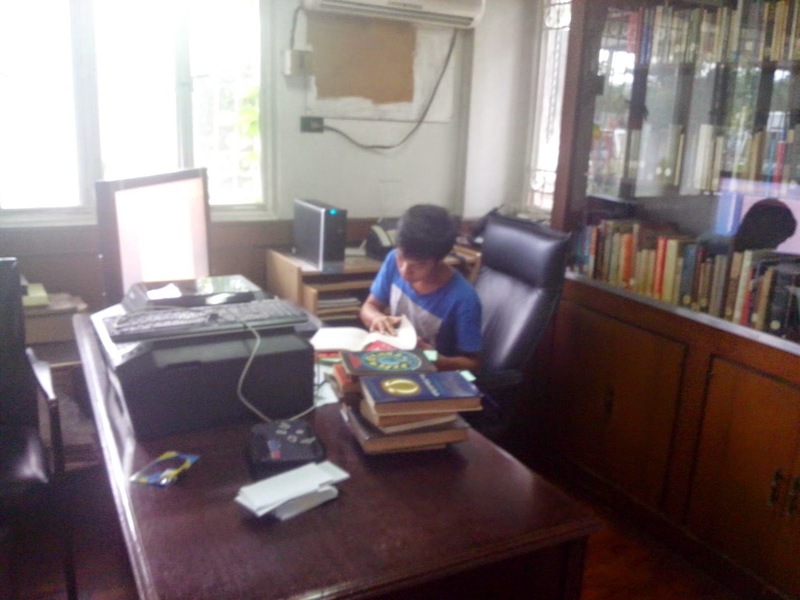 again, with books and stuff here, and so with my staff, jelo, alex and johnpaul, at quezon city.